Dr. Issam Al-Bitar is an interventional cardiologist who graduated medical school with the highest honors in his class at Damascus University School of Medicine in Damascus, Syria. He performed his residency training in internal medicine at Cook County Hospital in Chicago, Illinois, and served as chief ... Read More resident from 1983-1984. He completed his cardiology fellowship at the University of Wisconsin-Milwaukee and did an extra year of training in interventional cardiology, angioplasty and nuclear cardiology imaging in Wisconsin. 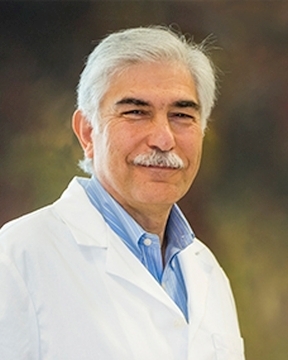 Dr. Al-Bitar has been practicing interventional cardiology medicine for over 20 years. Dr. Al-Bitar?s professional interests include interventional procedures to restore blood flow to the heart. He has extensive training in nuclear cardiology and interventional cardiology. Common procedures Dr. Al-Bitar performs include cardiac catheterizations, balloon angioplasty and stenting, roto-ablations, stress testing, echocardiography, and the installation of pace makers. He enjoys interacting with his patients and improving their cardiac health and lifestyle. Dr. Al-Bitar is board-certified in internal medicine, general cardiology, interventional cardiology, and nuclear cardiology. In his spare time, Dr. Al-Bitar enjoys his family life. He also likes to travel and play tennis.